The Raupo Phrasebook of Modern Maori is the most up-to-date, versatile and relevant resource for using Maori language in everyday life. Whether you're a novice or emergent speaker of te reo Maori, or a complete beginner, you'll learn useful phrases for: The home; The marae; The workplace; Meeting and greeting; Eating and drinking; Days, months, seasons and weather; Counting and learning; Travel and directions; Playing sports; Having fun and socialising. And so much more! The phrasebook also covers dialects, grammar and pronunciation; answers to key questions; idioms and slang; proverbs and speeches; and provides information on the ever-changing history of te reo Maori. Useful vocabulary lists are also given for each section. 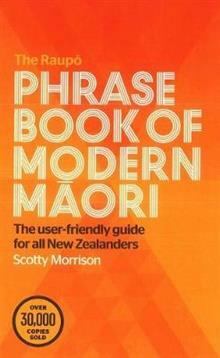 Written in a user-friendly manner, with everyday New Zealanders in mind, and with a focus on modern-day language, The Raupo Phrasebook of Modern Maori is the guide that no home should be without.